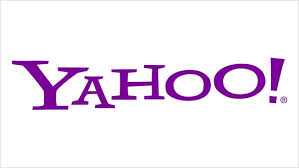 After more than anticipated success of Alibaba Group Holding Ltd (NYSE:BABA)’s IPO, Yahoo! Inc. (NASDAQ:YHOO) would certainly be happier with the higher valuation of its existing 16.3% stake in the e-commerce giant. However, Yahoo’s core business lost nearly half of its market valuation after the IPO. During the first day of trading, Alibaba witnessed a 38% increase in its share prices against the loss of 2.7% by Yahoo Inc, which indicated that non-core assets form a rather major part of the current market cap of the company. Yahoo! Inc. (NASDAQ:YHOO) is likely to make $5.1 billion after taxes and after taxes for its remaining stake in Alibaba Group Holding Ltd (NYSE:BABA), Yahoo will have an additional $23.4 billion. With Yahoo Japan’s $5 billion and current available cash $1.55 billion, Yahoo owns non-core assets worth $35 billion. In total, Yahoo! Inc. (NASDAQ:YHOO) is left with nearly $6 billion in its core assets. Before the IPO and increase in Alibaba’s share prices, Yahoo had a core business valuation of $13.85. According to experts, Alibaba Group Holding Ltd (NYSE:BABA)’s IPO has highlighted the weakness of Yahoo! Inc. (NASDAQ:YHOO). First, the company is looking for ways to avoid capital tax gains for its stakes in Alibaba and Yahoo will distribute 50% proceedings from the IPO in its shareholders. The real challenge in front of Yahoo! Inc. (NASDAQ:YHOO) is to revive its existing business and that’s exactly what the CEO, Marissa Mayer, is trying to do and the company needs to change its current investor outlook. Yahoo could use this fresh capital infusion for acquisition to grow its business otherwise the company might end up losing much of its core business value in near future.